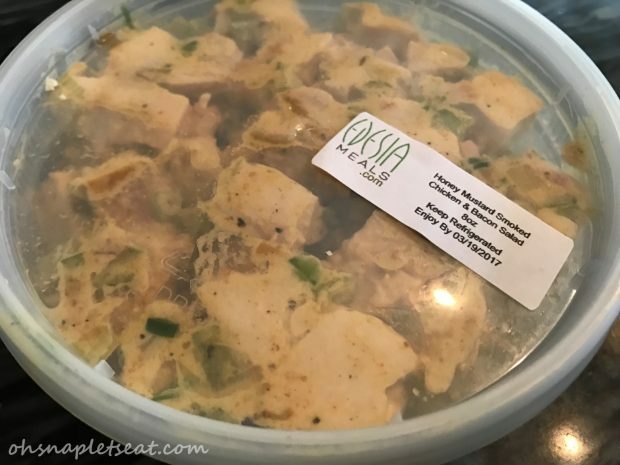 Edesia Meals Review (Paleo Meal Delivery) - Oh Snap! Let's Eat! 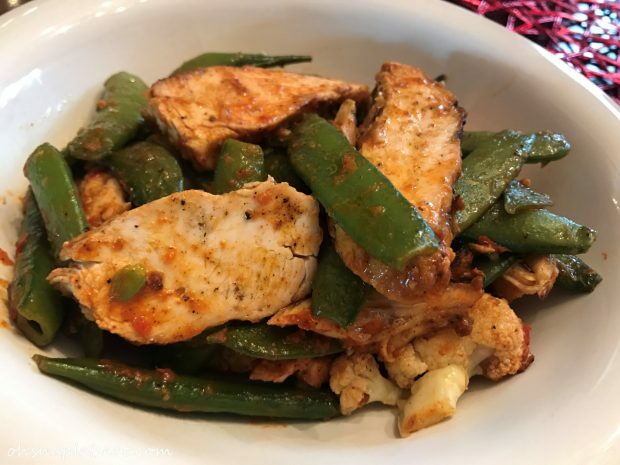 Edesia is based in Atlanta, and they deliver completely cooked paleo meals straight to your door steps. The awesome thing about Edesia is that the meals they prepare are all paleo, organic, farm to table, and locally sourced. The meals are not frozen (but can be if you request it). They make the meals every Sunday and deliver them on Monday. There’s a variety of ways they prepare the meals including roasting, smoking, steaming, baking and more. They also make everything they can from scratch – including mayo, tomato sauce, dressings, desserts, breads etc. Something I personally found pretty cool is that the Edesia team consists of a husband and wife duo preaparing 250-400 meals a week. Blake, over at Edesia, mentioned that they love every minute of it, and that together they have over 12 years of experience in the fine dining restaurant industry as chefs and pastry chefs. 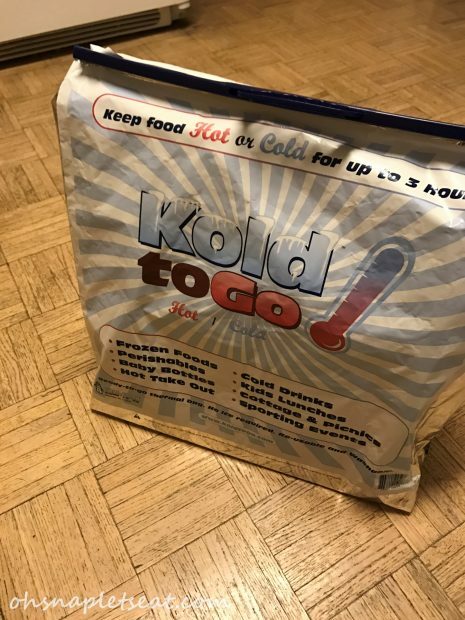 The meals were delivered to my home in a Kold To Go bag and ice packs that keep the food nice and cold for about 3 or so hours. This is good in case no one is home for a few hours when they are delivered. Each meal was individually packed inside in plastic containers. The meals which contained sides were packaged together in the containers. This Flank Steak was probably my favorite meal. 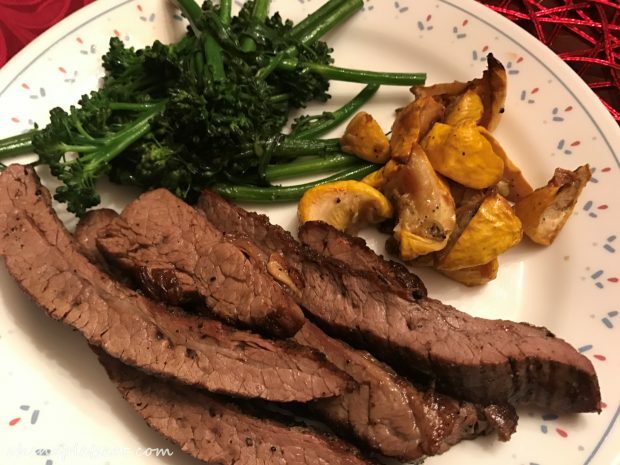 In the container, ther was the steak with a side of broccolini and squash. 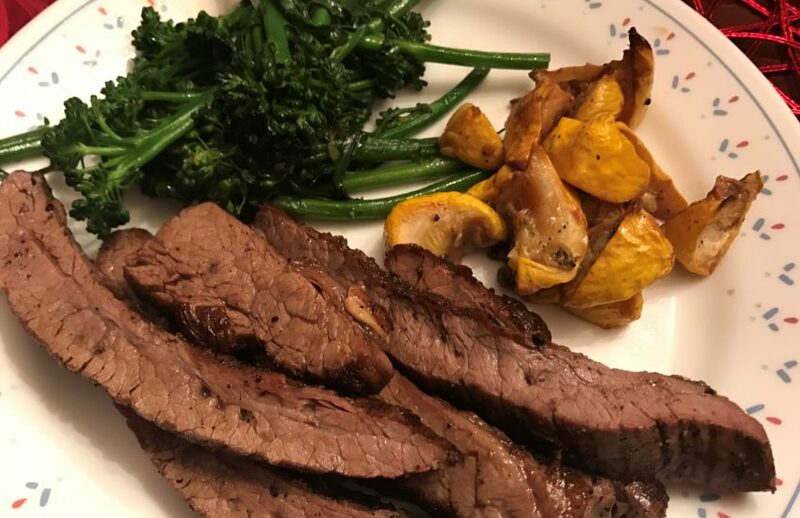 The steak was delicious- flavored just right and then the broccolini and squash were also a delicious sides. It all went very well together. The Moroccan Chicken had a yummy flavor. There wasn’t much instructions on reheating, so I wasn’t sure if I was supposed to add the sauce and heat everything together, but it turned out well. It came with Cauliflower and Snap Peas. The Smoked BBQ Pork is probably my second favorite dish, after the Flank Steak. I really liked the smoked flavor of the pork. The side dish that came with were these Sweet Potatoes. The Coconut Curry Chicken… was a little confusing. The way it was assorted in the container, I couldn’t tell if it should all be completed reheated or if only the meat was – in which case you would have to remove from the lettuce and veggies… and maybe made in to a wrap? Well, I didn’t feel like eating it as a wrap and removing it so I went ahead and just heated it up on a skillet. It was tasty none the less. This Honey Mustard Smoked Chicken and Bacon Salad was sooooo delicious! Probably one of my favorite things from all the things I tried. If you’re a fan of chicken salad, definitely try it out. By the way, I’m super sad I apparently didn’t successfully take a picture of the chicken salad OUT of the container! But trust me. It was delish. The Breakfast Meal was pretty legit. 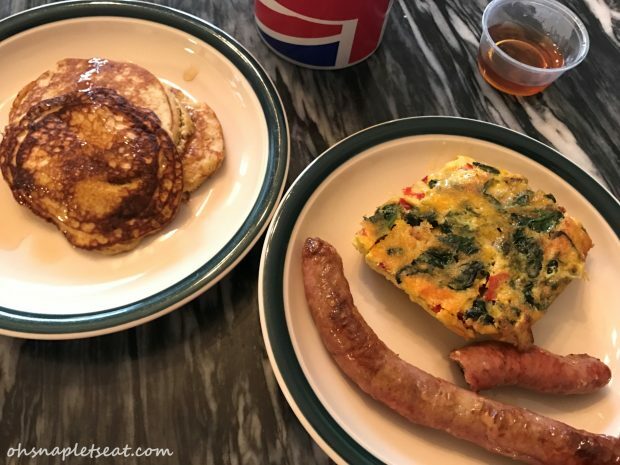 It consisted of sausages, frittata, and pancakes. I’m big fan of breakfast food so I very much enjoyed this. It also came with a paleo syrup! So, I’m actually not super in to sweets, but DANG, this Paleo Chocolate Dessert was the BOMB DOT COM. 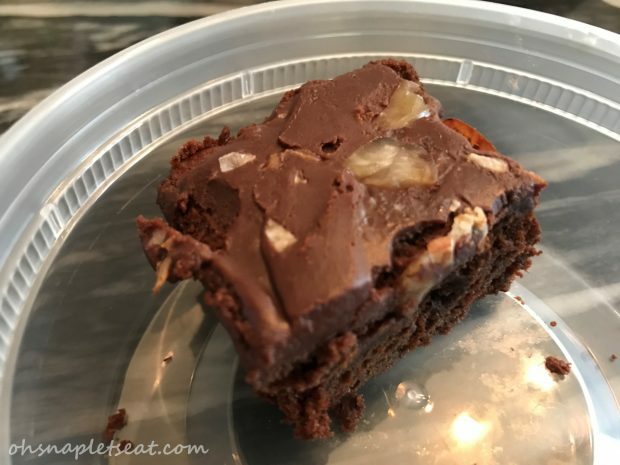 I would categorize it in the “I can’t believe it’s paleo” section of paleo things I’ve tried! Not only that, but also had a very homemade feel. Mmm… homemade tasty food! What’s not to like. What do I mean by it tasting homemade? It didn’t feel like someone manufactured it… probably because it really wasn’t since the folks over at Edesia literally cook the meals and deliver it over. Each item said “Reheat to 165°” leave you to reheat which method you prefer. For the most part, I didn’t struggle much reheating the meals. I prefer to reheat meals via stovetop. I think it would beneficial for there to be more instructions such as recommended reheating options. 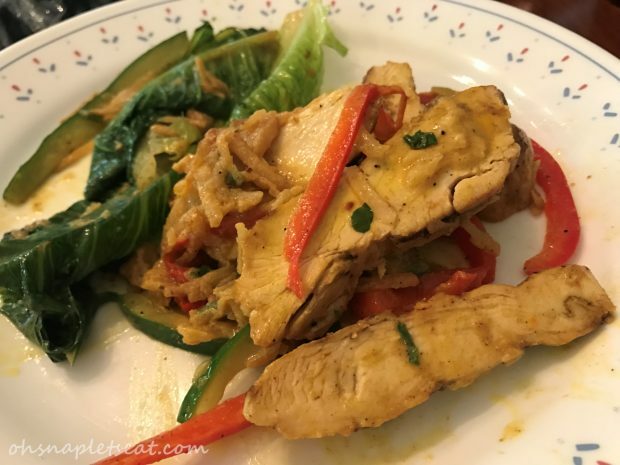 The reason I think this is because I was very confused with the Coconut Curry Chicken as it did come with lettuce, and I wasn’t sure if it was supposed to be a wrap or if I was supposed to cook the veggies or not. Now, I did e-mail them prior to getting the meals on how to reheat their meals, and they did mention that it mostly depends on how you prefer to reheat it but, he personally suggests reheating using the oven. This one probably affects some people more than others. I’m looking at you folks that prefer your peas to not touch your whatever. I’m actually not one of those people, but I do think it could be fun times to be able to pair some of the sides to other entrees. For example, maybe if you want to try the Squash with the BBQ Pork instead of the steak or something. I personally don’t mind this one at all, but just for those of you that do – there were Snap Peas as one of the sides. Why might you care? If you’re super duper strict paleo – then you don’t eat any legumes, which Snap Peas are considered as. Why might you not care (like me)? Because legumes can still be quite nutritious and most paleo eaters still eat them from time to time. Here’s an article about Legumes and the Paleo Diet for more info. The meals were very enjoyable and I absolutely loved the homemade feel to them. 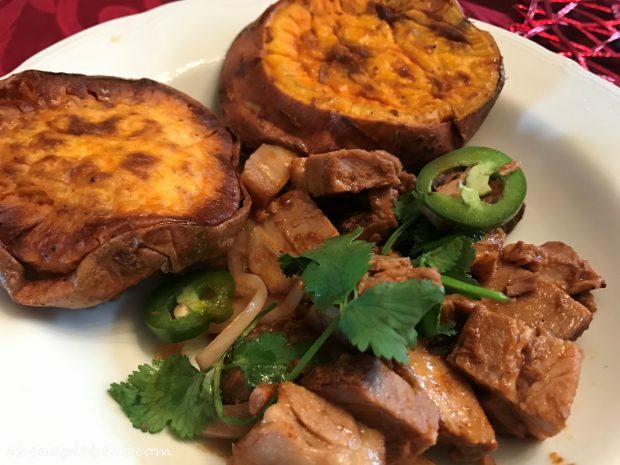 I think Edesia meals is a great option for those of you that are eating a Paleo diet but just can’t find the time to prepare every homemade meal yourself! EXCITED?! Want to try it!? Visit their website here to try it yourself! I received 4 meals, a dessert, 2 breakfast items and a chicken salad in exchange for this review.